Be prepared to be WOWed!! 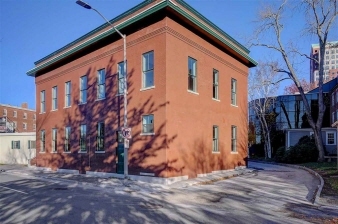 This downtown brick historical building is ready for your immediate occupancy. Completely remolded 4 unit garden style condos. Exposed brick and beams.Open concept provides a chic living style. 2 bedrooms,1.5 baths. Granite counters, stainless steel appliances, hardwood floors, tiled shower, double vanity. Washer and dryer hook-ups in each unit. Large storage space provided for each unit. Off street parking. Close to everything. Enjoy the convenience of downtown Manchester's amenities.Tons of shopping and restaurants. This opportunity will not last.